HTC phones to gain PlayStation certification? Will smartphones like the HTC Sensation soon become PlayStation Certified? HTC will be the first manufacturer outside Sony to gain PlayStation certification for its Android phones and tablets, according to reports. Pocket-lint claims it has been informed by sources that the announcement will come during 2012, possibly as soon as this month's Mobile World Congress expo in Barcelona. The PlayStation certification scheme brings classic PSOne games to Android devices and was planned as a cross-platform initiative. However, until now only Sony-branded devices like the Sony Ericsson Xperia Play have the nod. Among the PlayStation Certified games already available are Crash Bandicoot, Bruce Lee, Asphalt Adrenaline 6, Splinter Cell: Conviction. 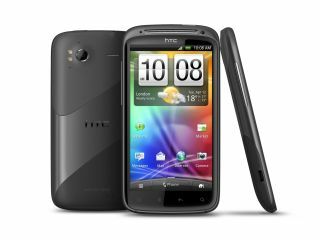 An announcement would be a major boost to the Taiwanese manufacturer as the 2012 mobile landscape begins to unfold. The company endured an underwhelming 2011 which it attributed to flooding the market with too many devices and confusing its customer base. After acquiring Beats Audio in 2011, it looks like the early Android pioneer will have an improved gaming, as well as listening, experience as the year progresses. HTC itself has not commented on the story.